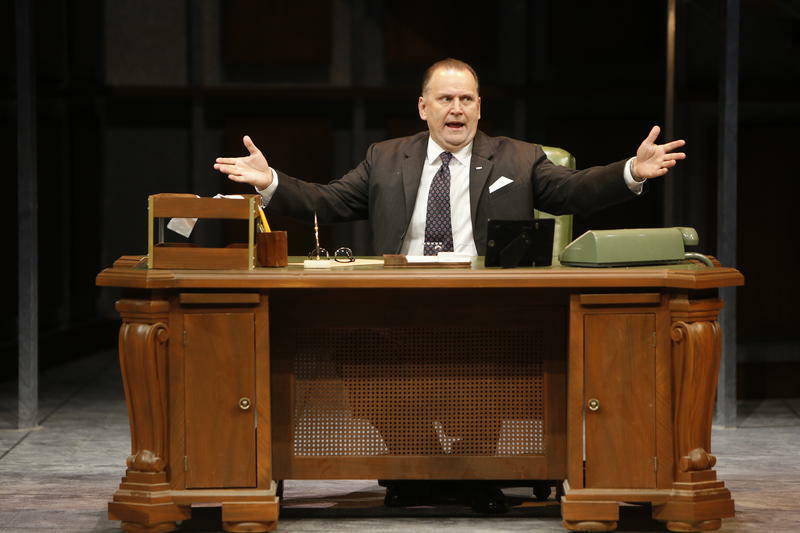 Brian Dykstra as President Lyndon B. Johnson. The Repertory Theatre of St. Louis’ “All the Way” opens Friday night and takes on subject matter from the 1960s that may seem just as pertinent in theaters today as it would have back then. The Rep’s 49th season opener focuses on the presidency of Lyndon B. Johnson, one of the most controversial presidents in recent memory, as he navigates the civil rights era and the Vietnam War, mincing no words along the way. "Cityscape" host Steve Potter talks with Steve Woolf and Brian Dykstra about "All the Way." 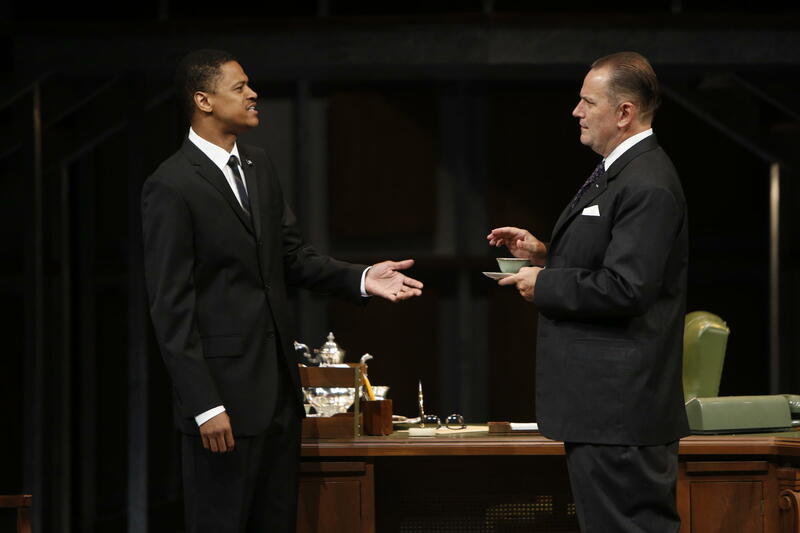 Avery Glymph as Martin Luther King Jr. and Brian Dykstra as Lyndon B. Johnson. “Yeah, what year is that?” added Woolf. That made the discovery of Johnson’s complicated history all the more fascinating to Dykstra. 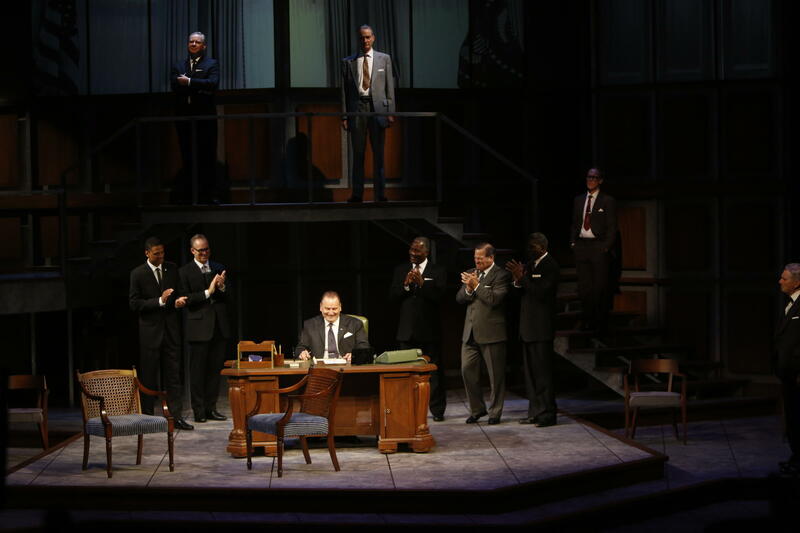 The ensemble applauds as Lyndon B. Johnson (Brian Dykstra) signs the Civil Rights Act of 1964. 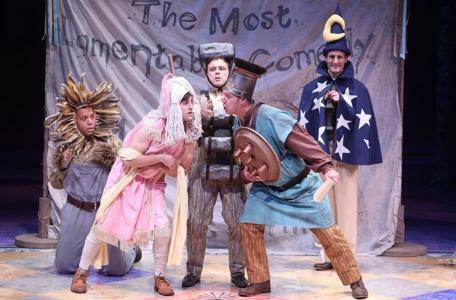 Listen below to hear more about the production, including the 19 players who take on 45 different roles, which opens Friday night and runs through Oct. 4 in Webster Groves at the Loretto-Hilton Center for Performing Arts. "Cityscape” is produced by Mary Edwards, Alex Heuer, and Kelly Moffitt and sponsored in part by the Missouri Arts Council, the Regional Arts Commission, and the Arts and Education Council of Greater St. Louis. The Repertory Theatre of St. Louis was the biggest winner at Monday night's local Theater Circle Awards. The St. Louis Repertory Theatre will include an original play about Ferguson in its 2016 "Ignite!" festival of new plays. 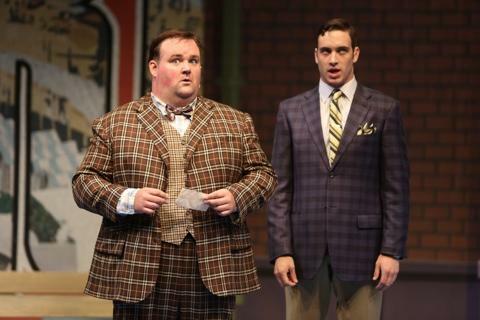 “One Man, Two Guvnors” is part British comedy, part chaos. “It runs like a mix between rock ’n’ roll show and a bit stand-up comedy and improv because there is so much audience interaction and there are so many wild cards,” said Raymond McAnally, who stars in the Repertory Theatre of St. Louis production.